In January of 2016, there were more than 36,000 double poles in the state of Maryland alone. That was according to a report on utility pole attachments published by the Public Service Commission of Maryland. The report resulted from a workgroup that studied utility pole attachments in the State, which were not previously regulated at the State level. The report claims that the Commission Staff believed that “inappropriate levels of double poles throughout the State” were in existence. Why is getting an attacher to move equipment from one pole to another such a vital activity? For the most part, it is about safety. Old, deteriorating poles that are additionally weakened by whatever incident caused the owner to need to install the second pole (insect or storm damage, rot or an automobile collision, for example) can fall, posing a risk to the public. Double poles also create a larger obstacle to collide with in the case of a car or bike accident, causing increased chances of serious injury. 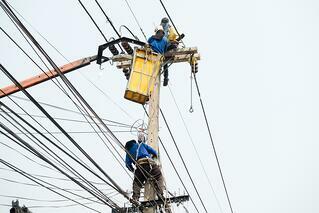 Likewise, utility workers cannot safely climb double poles. Within the Maryland report, one county delegate is quoted saying, "some of the poles are ‘partial' poles and are safety hazards to the residents… Most of the time they are just eyesores that hurt the quality of the neighborhood." Secondary to safety concerns is a utility company's desire to foster goodwill with the communities where its poles reside. Many communities consider double poles as a factor in reducing property values and urban blight. Neither situation creates a favorable public image for utility owners. This is a great idea for any asset owner hoping to get a handle on pole transfer requests and to complete them quickly. Online joint use management software can organize all asset information, while seamlessly connecting pole owners to attaching companies and contractors, and efficiently remedying double wood.